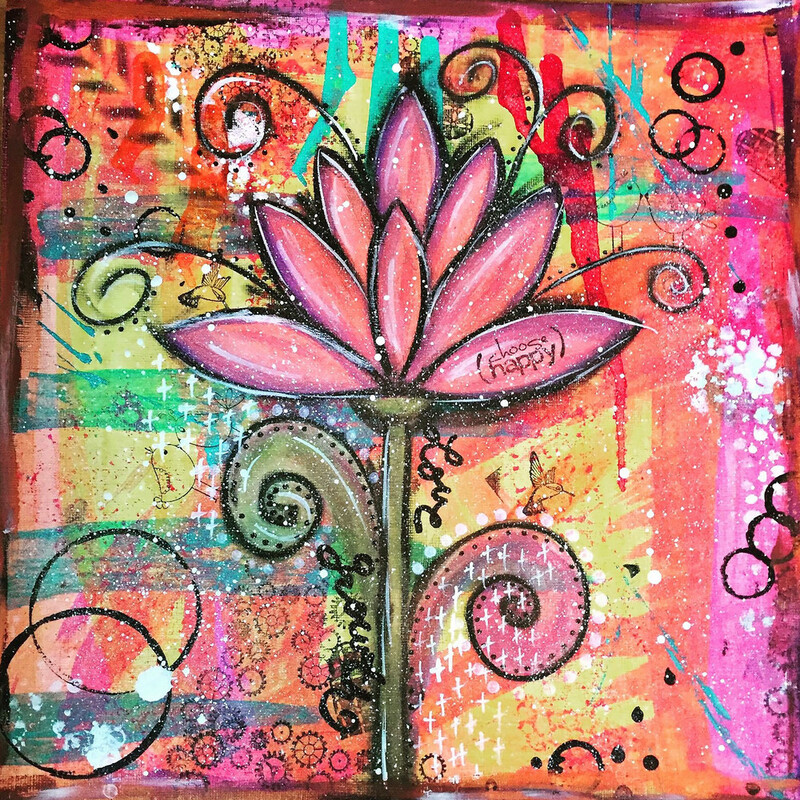 "Lotus" was originally created on a 12x12 canvas paper with acrylic paint, stamps, ink sprays and watercolors. It is one of my favorite finger paintings that I have created and is full of vibrant colors and hopefully brings out the happy just by looking at it. It stands tall and confident because in life no matter what comes our way we need to always remember to stand tall and confident in our ability to take life head on.